HC Controls has been established since 1986, and have many years of experience in both the manufacture and modification of most types of control panel. We offer a host of site services and are in possession of the relevant certification to perform site work in a safe manner to the latest standards. All our site staff hold a current site safety passport. 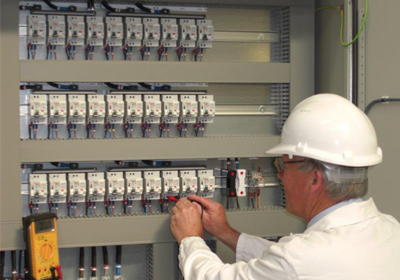 Our skilled and experienced Panel Fitter Wiremen can operate on-site to install panels, re-assemble motor control centres and switchboards and attend to busbar arrangements. Positioning and installation of MCCs and Switchboards, re-connection and testing.